Soon, even more consumers will realize that they can put themselves on restaurants’ waitlists remotely. News broke mid-August that one of the larger waitlist app suppliers had partnered with Yelp. As part of the deal, the tech provider is bringing the waitlist experience inside the Yelp app for its customers. So for restaurants that use that app, it means potentially increasing the number of consumers they reach. These programs have been a hot space in recent years, with startups competing to help restaurants manage the crowds. For now, many independents and smaller operations using waitlist management apps stick to a basic model—and those off-the-shelf options still seem to be helping business. Sophia’s Thai Kitchen in Davis, Calif., for example, now retains 75% to 80% of its customers on the waitlist, compared with only 50% when using a paper list before. Kevin Wan, owner of Sophia’s, sifted through apps offering a range of add-ons such as table management and trend-tracking analytics. “We really were looking for something simple, that would emulate paper and pencil,” he says. 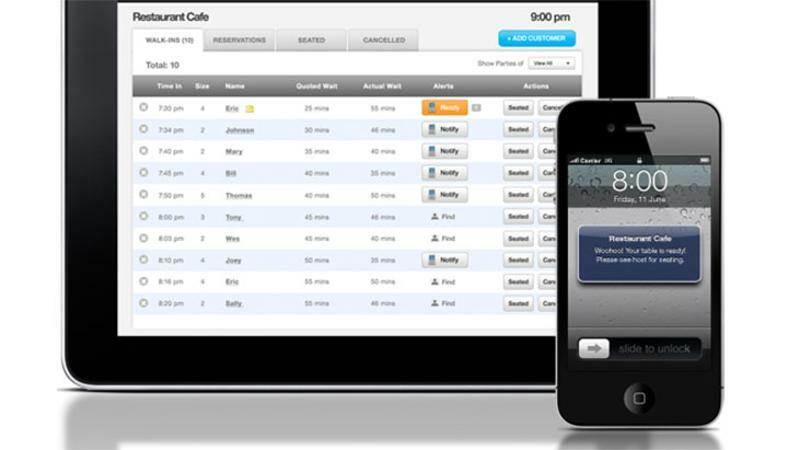 He opted for a solution that allows hosts to add guests’ names to the list and offer an app-generated wait estimate. Customers can check their position in line via a public waitlist, and they receive a text or call when the table is ready. What’s missing, says Wan, is two-way texting—a way to communicate directly with guests if circumstances change. It’s those kind of tailored features that lead some operations to more custom (and pricey) waitlist solutions. Chili’s, for example, worked with a supplier to white label a branded app that launched last year. Because Chili’s knew it had the customer base to support its own app, it tweaked pre-existing software to suit its needs. In fact, Chili’s supplier was chosen because it was “willing to make changes based on what we needed,” says Wade Allen, VP of digital innovation and customer engagement at Chili’s parent company Brinker. But getting that accuracy relied on total buy-in. “One of the key things we learned was that it wasn’t plug-and-play, in that we needed a sizable amount of lifting to teach team members,” Allen says. “Wait times [generated by the app and given to customers] are totally based on inputs into the system, so if the app isn’t continually used, the data isn’t accurate.” That meant training all hosts and servers to continually update the waitlist platform with what’s going on in the dining room.